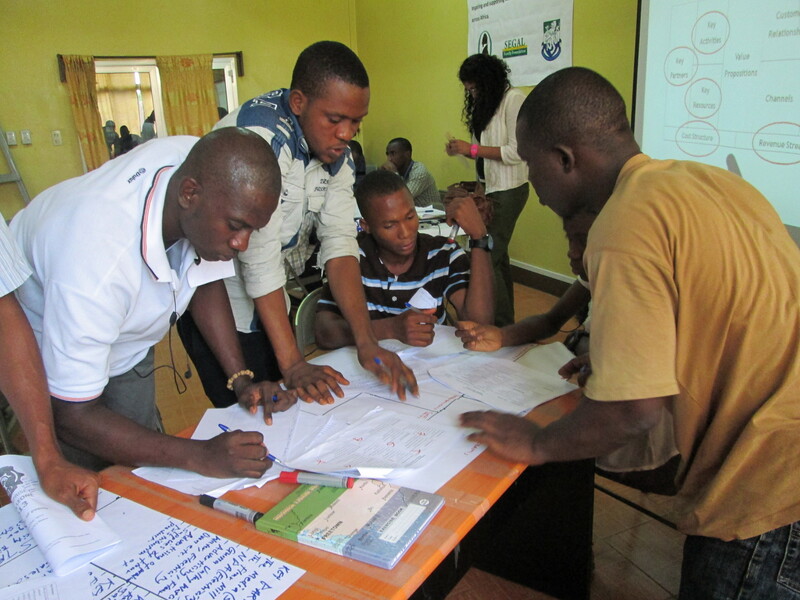 I’m currently volunteering with the African Innovation Prize (AIP- africaninnovationprize.org); a small British based NGO running entrepreneurship competitions for University students. 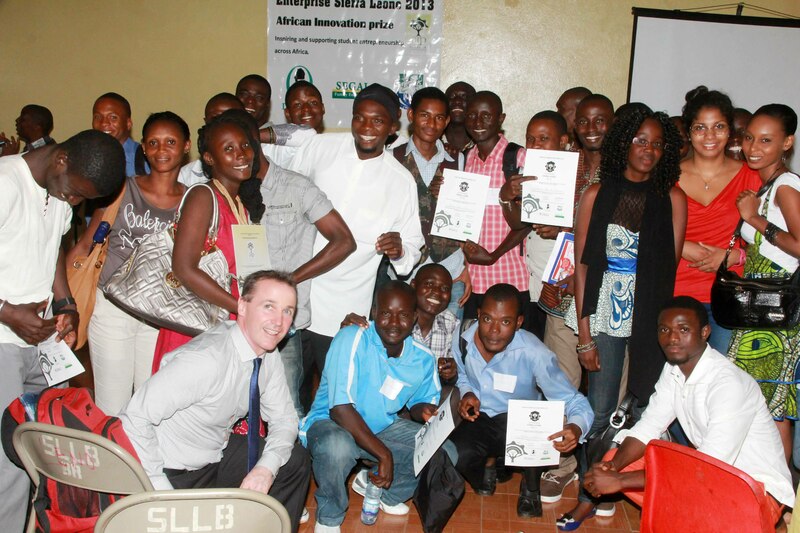 AIP started working in Rwanda and decided to introduce the competition to Sierra Leone two years ago. In the first phase of the competition students communicate a business idea in 250 words with the winners receiving an equivalent of £200; and the second phase requires a full business plan in 1500 words, with the winners receiving an equivalent of £2000 and a mentor for support and guidance. Alongside the competitions we run training workshops to provide a skill base to the participants and other interested students, to help improve their business ideas. 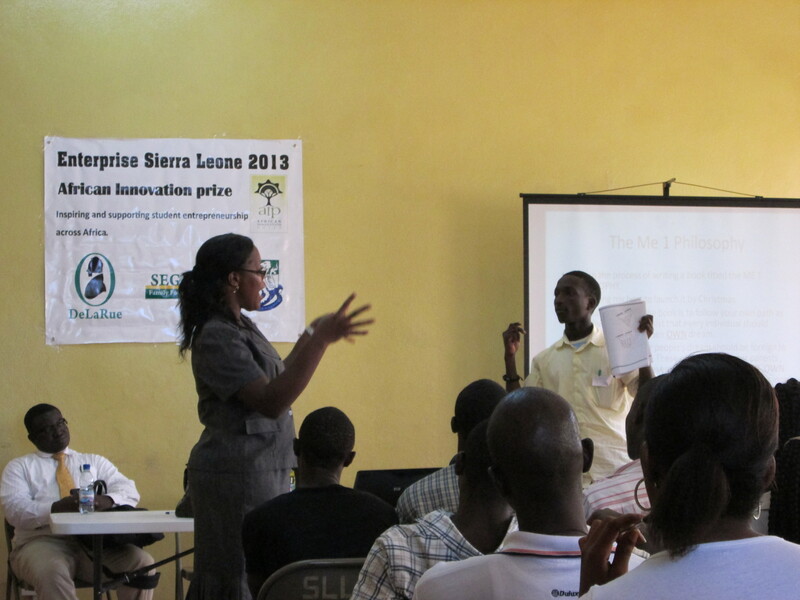 Every year, to bring the competition to a close we run a training course called Enterprise Sierra Leone (or Enterprise Rwanda in Rwanda) alongside the prize giving for the second phase, which is what I’ve been involved with organizing. As well as running the competitions we want to support student entrepreneurs and therefore encourage entrepreneurship societies in the universities and other student communities. I feel that the work AIP do is important because the unemployment rate among graduates in Sierra Leone is over 68% and a lot of students expect to get a regular office job at the government or a bank instead of trying to create their own opportunities. Enabling students and inspiring them to start their own enterprises and to seize opportunities around them is a great mission and something that would hopefully take root and lead to a new generation of Entrepreneurs, who will be able to help boost the local economy and create jobs for their peers. Thanks for sharing, Milly. Great work!